Lotería Nacional has a long history and is held every month. This lottery has the best winning odds in the world — 1 to 3! The odds to hit the Jackpot are also incredibly high — 1 to 100,000. 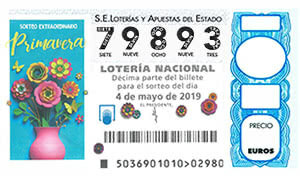 In order to take part in Lotería Nacional, you need to buy a ticket with a pre-printed five-digit number from 00000 to 99999 on it. The number of tickets is limited. 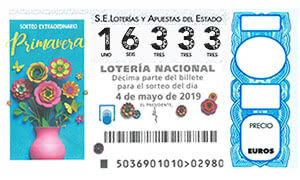 To participate in Lotería Nacional, you need to pick a ticket with a five-digit number on it. Find the tickets on the left. Since each ticket is divided into ten equal parts ("tenths" or "decimos"), you can purchase only one or few tenths of the ticket. Set the number of tenths in the ticket you would like to buy using the "plus" and "minus". Please note! 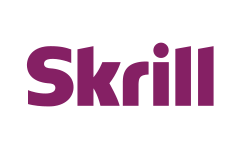 You can purchase only those number of tenths in each ticket that is available on the site. The number of tickets and tenths is finite. To take part in the draw of Lotería Nacional, it is enough to purchase just one tenth. To improve the odds and increase the prize amount, you can pick one tenth in each of few tickets, or several tenths (up to 10) in a single ticket. Please note! You will be paid a prize amount proportional to the number of tenths purchased. For example, if you picked 2 tenths in the ticket which is worth € 100,000, you will be paid 2/10 of this amount, ie € 20,000. The organizer of Lotería Nacional is the Ministry of Economy and Finance of Spain. The main advantage of the official game is that every third ticket of it is winning. The odds to scoop the Jackpot of Lotería Nacional are also extremely high — 1 to 100,000. 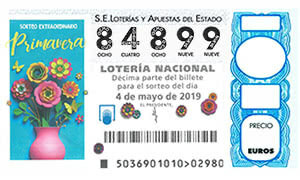 Every month Lotería Nacional is guaranteed to pay out 10 and even more Jackpots. Lotería Nacional appeared in 1811 in the city of Cadiz. Since 1994, the lottery organizers have been donating some money to the Spanish Association Against Cancer. Several times a year special drawings of Lotería Nacional are held: Lotería de Navidad or the Christmas lottery, Loteria del Nino or the lottery to celebrate the Cavalcade of Magi. With Lotto Agent everyone who is 18 years or more, may take part in the lottery Lotería Nacional from anywhere in the world! 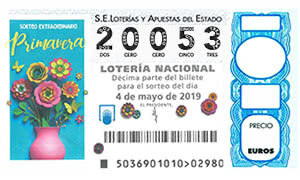 All Lotería Nacional winnings over € 2,500 are subject to federal tax of 20%. The tax applies to the difference between the amount of the winning and € 2,500.